Peter and Daniel Hanig believe that well-designed and carefully crafted footwear will enhance the way you feel throughout your day. The Hanig's work closely with designers, developing footwear that fits beautifully and is built for travel, work, or play. 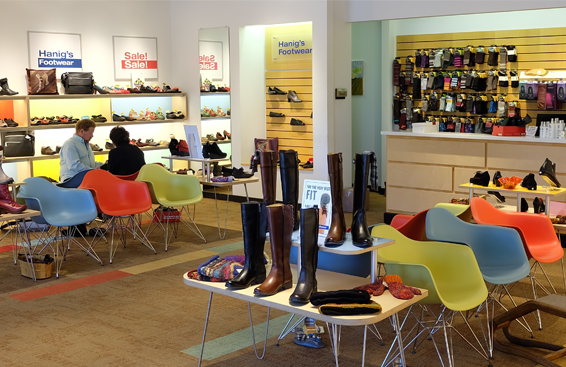 The commitment to offering outstanding customer service and wonderful shoes began in 1944 with Irv and "Billie" Hanig. Driven to offer the finest assortment of footwear in Chicago, the couple opened their first store on the north side of Chicago just three blocks from the family's home on Pine Grove Avenue. 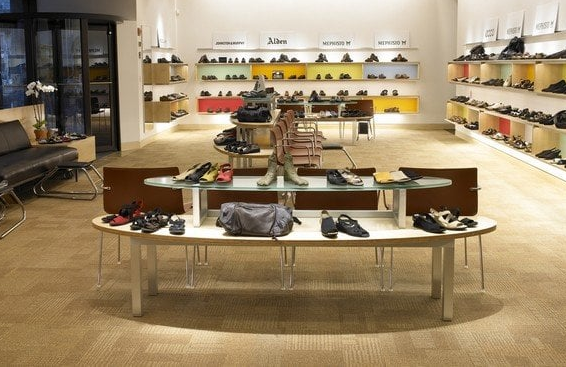 Over the next 19 years, Irv opened additional stores in Chicago and New York, including the country's first Johnston and Murphy store in Chicago's famed Palmer House Hotel. Irv's son, Peter, joined the business in 1971 to help open their LaSalle Street store. 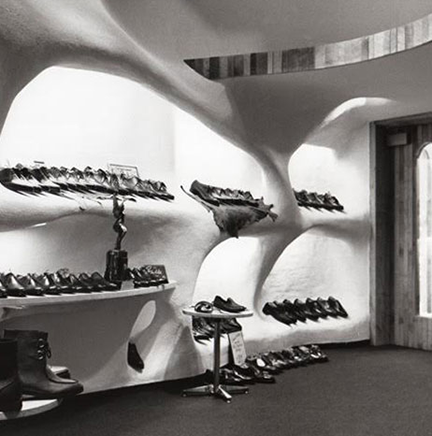 In 1978 he then opened the company's flagship store on Michigan Avenue. Over the past four decades, Peter has solidified the Hanig name as a trademark of customer service and satisfaction, traveling to Europe each year to find the latest in unique fashion trends combined with comfort. In 2006 Peter’s son Daniel joined the company in order to create their website, Hanigs.com. Daniel’s responsibilities now include buying and marketing, along with design. 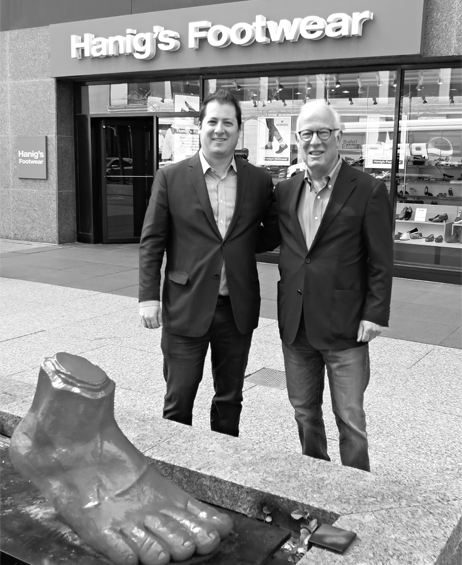 While there is plenty to see inside any of the Hanigs stores, Peter and his son Daniel are dedicated to the city beyond their company walls. 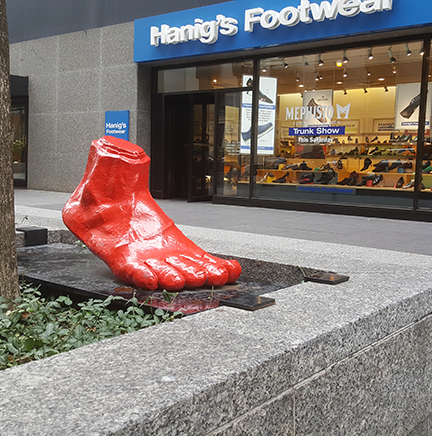 At Hanig's Footwear, a commitment to bettering Chicago has always been a top priority. 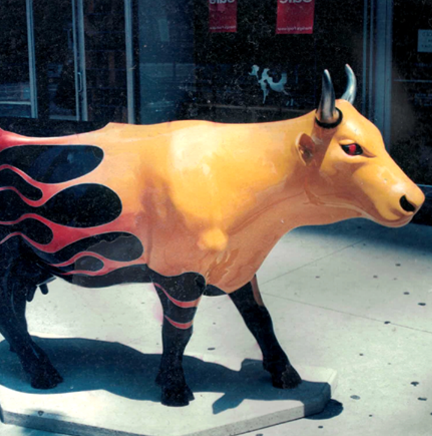 Peter spearheaded "Cows on Parade" in Chicago in 1999, a public art exhibit that placed 330 life-sized cow sculptures throughout the city. His desire to showcase these innovative pieces of artwork to members of the community was a great success; "Cows on Parade" brought in over 250 million tourist dollars to the city, and the event's auction raised over 3.5 million dollars for charity organizations. "We have an investment in the community that national chains don't have," Peter says. "We live here and our customers are our neighbors. 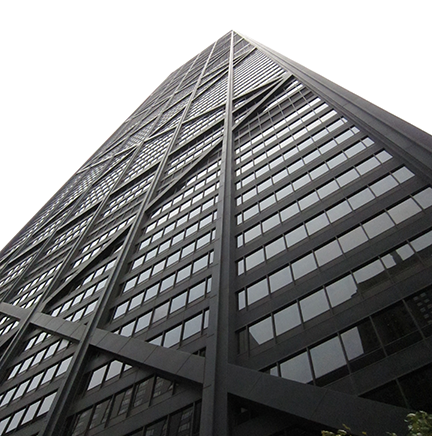 Relationships are the strength of any business, and we have a close relationship with the city of Chicago."